because of the ongoing concern on potentially contaminated food from the north area of japan due to the recent nuclear radiation, i have been quite picky about the place of origin on any food i buy. i understand that any contaminated food would not be allowed to be sold in the market, but i would feel better if the food comes from as far away as possible from the affected area. i feel slightly guilty towards the affected farms for my behaviour because it it not their fault at all. but on the contrary, i don’t want to take any risk if i don’t have to. anyway, when i was in a grocery store a couple of days ago, there was a stack of beautiful green basils which were made in okinawa (the south most island of japan). i thought that surely these leaves were radiation free… so i grabbed a pack and put it in my basket. 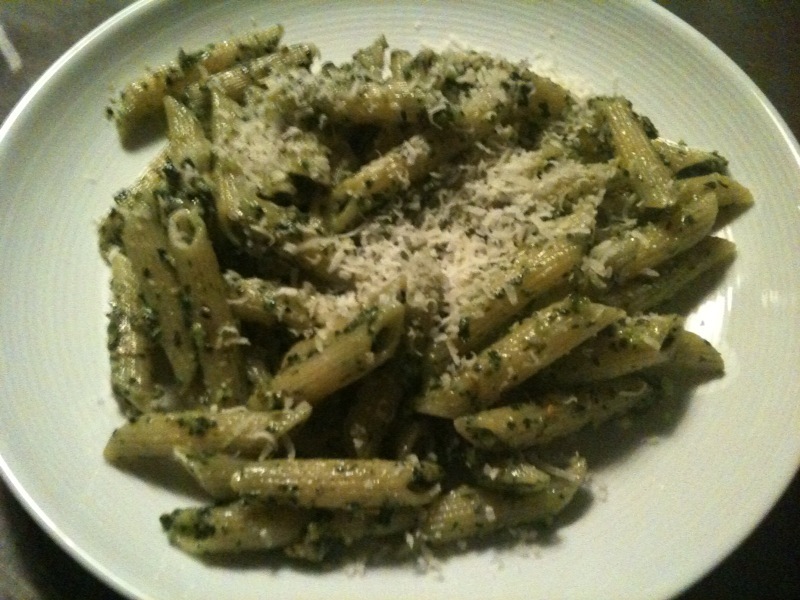 i had pistachio nuts at home, so i decided to make pesto genovese sauce with them. it’s super easy and quick to prepare, and it comes out so tasty. 1. in a food processor, put the basil leave, garlic and pistachio. start the processor with low speed, and once the nuts are crushed a bit, put the speed to high. keep it for 10 seconds or so. 2. once the ingredients are nicely mixed, put the olive oil and salt (a bit more than a pinch) & pepper to taste. start the processor for another 10 seconds. the ingredients get mixed and become paste-like texture. the sauce is ready. 3. cook any kind of pasta you like, and once cooked, mix it with the pesto sauce, and add the parmiggiano. mix a few times. 4. as preferred, serve the pasta with extra sprinkle of parmiggiano & olive oil. it is 26th of march 2011. it is a beautiful sunny, a little windy saturday in tokyo. i’m sitting at our dining table as i write this diary, thinking how calm and peaceful the city feels. looking out the window, i see the bright sunshine shining through the windows, warming up our apartment, my body, my skin, my soul. – the relief aid is ongoing in the north. all over japan, many families have volunteered to host the affected people at their own home. – people are very cooperative for saving the electricity usage. it is quite dark wherever you go, such as shops, restaurants, metros, etc., which reminds me of my time in europe. i think japanese people finally realised how much energy had been wasted in the past. – the nuclear reactor issues are still unresolved, but are continuously monitored and handled by the brave workers risking their own lives. – the contamination of food, water, milk, etc. around fukushima remains to be a major concern for us. i read the news somewhere saying that the government is considering to buying out all the contaminated food from the affected farms to protect their business. – thankfully the guideline to warn not to give tap water to infants has been lifted by the government. i am drinking tap water. 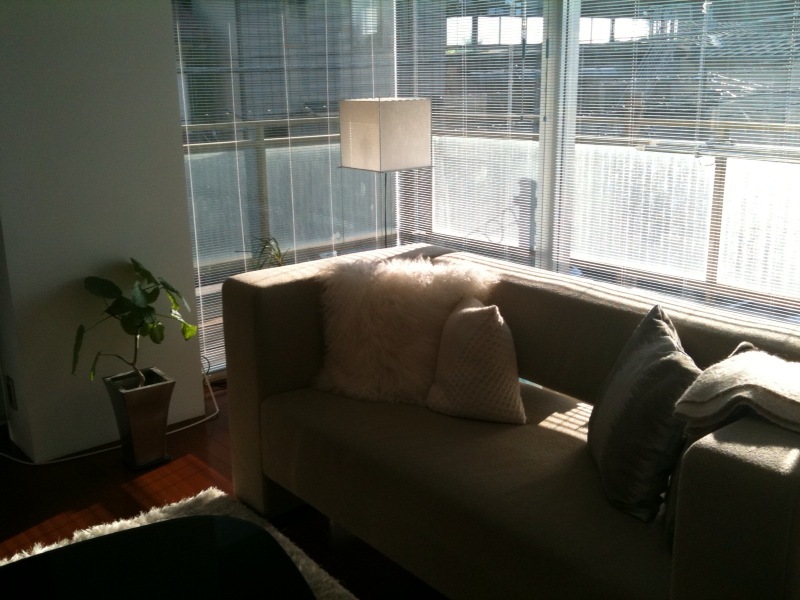 sitting in the quiet apartment on my own, it makes me feel that it is another normal, peaceful saturday. tonight, instead of checking news on the internet or on tv, i will play some music as i cook chinese for dinner (麻婆豆腐, mabo-tofu), then take a hot bath, then watch a film on our cable and stay in. just like any cozy saturday evening could be. it is 24th of march 2011, 14th day since the earthquake. we came back from hong kong 3 days ago, and have been feeling an aftershock quite frequently since then. sadly enough, we are used to it by now, and what scares us more is the continuous threat from the nuclear reactor. yesterday the japanese government announced that the tap water in tokyo was found out to be contaminated with radioactive iodine. according to the news report, the level of radiation in the city water does not affect the adults nor children, but may affect infants who drink formula or eat baby food made with the water. as soon as the news was released, the bottled water in shops disappeared (which i think is a quite natural human reaction, being part of a self defense mechanism). 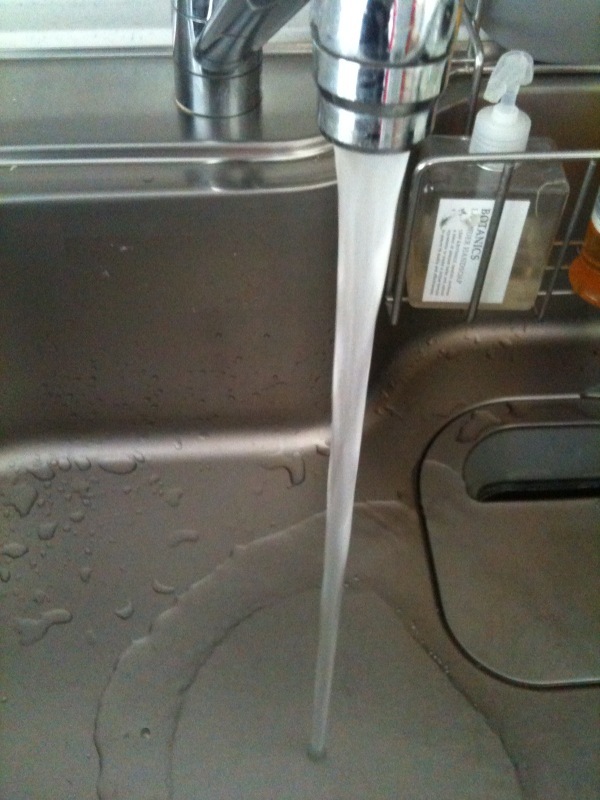 opening the tap in our kitchen today, a beautiful stream of transparent water started to flow. growing up in a super modern & developed country like japan, it is hard for us to believe that water may be dangerous to you. the threat is totally invisible. no strange colour, no weird smell, no odd taste. how can we explain to small children that the water is threatening without scaring them too much? or should we just go ahead and scare them and teach them that the potable water is no longer potable because of whatever the difficult explanation of the nuclear power which even grownups like us can’t understand? is that a consequence of our cutting-edge technology? the ceaseless problems occurring from the nuclear power plant are simply sad and mentally exhausting. the day after arriving in hong kong after my dramatic departure from tokyo in the midst of the crisis, we went to watch the ballet show performed by the oldest, 6-year-old daughter of our friends as promised earlier. the show was held in the concert hall of the hong kong city hall, in a quite formal manner for young children of her age. official tickets were required for the entry, all the performers were dressed in different costumes made for various themes (red tutu for flame, yellow tutu for stars, white tutu for marshmallow, etc.). the stage was nicely decorated with different materials, and the use of lighting and sound effects were professionally done. keen parents were seated in the front rows with a large flower bouquet for their children’s milestone. our friends’ daughter’s performance came in the 2nd act, 5 minutes after the show had started. her act, along with 10 other girls, finished within 3 minutes or so. she performed very well in fact, dancing excitedly and proudly. she was so cute that i could not help waving towards her on stage, even though i knew she could not really see me. and for that brief moment i did not think about the problem back in japan and appreciated the new cultural experience of a parenthood. after her act was finished, we sat there to watch other children perform for another half an hour. it was the strangest 30 minutes that i had ever experienced, being totally out of place, because i didn’t know these girls in person, because it was outrageously peaceful at the concert hall, because i was anxious about japan, because i should have been in tokyo protecting my family, because i was safe in hong kong but my family, friends, and millions of other people in japan were facing the fear at that very moment. surreal, was the word to describe how it was to me, to be in that place, at that time, with these happy people. watching the rest of the show, tears came from my eyes, thinking about what the huge crisis we were in back home, what a difference it would make depending on where you live, how lucky these children were in the ballet show for their safety, and what fate could bring to your life. on the 16th of march 2011, 5 days after the powerful earthquake & subsequent tsunami in the north-east area of japan, and in the midst of the nuclear reactor problem, we left for hong kong as previously planned. the purpose of the visit was to spend some time with my husband’s business partners, who are also very good friends of ours, and their 3 daughters. we had not yet met their youngest daughter since she was born in august last year, and we also promised their oldest daughter that we would come and watch her performance in a ballet show. although we planned this trip a month ago and did not mean to flee the country, the sense of neglect was there deep in my heart. our biggest concern upon leaving the country was the continuous nuclear threat from the power plant in fukushima. up to that point, through available sources on the internet, we had studied a lot about nuclear energy and the risk it entails, and came to the conclusion that the situation would not get worse, and would not affect our lives as long as we are not in the direct proximity of the power plant. this made us decide to go ahead and stick with the original plan. as we drove to the airport, there was a long line of clouds on the horizon, covering the bay area of tokyo. the clouds were eerily dark at the bottom, as if to predict that something ominous was about to happen to us. at the check-in counter of the airport, there was a long queue of families, mainly indians somehow, waiting patiently for their turn to purchase the tickets to get onto the same plane as ours. there were many small children in strollers, some crying or running around, others sleeping so peacefully being totally unaware of what was going on. we lined up in a short queue with other passengers who already had their tickets & boarding pass ready. we followed the usual protocol to get ready for our departure, giving the airline staff our passports and boarding passes and dropped off our suitcases. we were ready to go. on the contrary to what we witnessed at the check-in counter, going through the immigrations was extremely easy and fast. there were no queues at the immigrations, which, in overall, took only 5 minutes to get a departure stamp on our passports. walking towards the gate, i noticed that most of the shops were open, running their business as usual, with no lack of products on the shop shelves, the shop staff cheerful as always. there, the crisis was non-existent. there, the world was functioning as it always had. when arriving the gate, there was a large tv showing some news report, explaining the latest condition of the affected areas in tohoku as well as the fukushima nuclear plant. around us, there were many passengers looking quite anxious to get on to the plane. some of them were on the phone, presumably calling their folks in their own countries. we had a seat in the waiting area, a bit far from the gate, watching tv and observing the long queue to dissipate. it was our turn to go. all of a sudden, however, something hit my mind, and i started to think that i might be making the biggest mistake of my life, leaving my family behind in the midst of the crisis. all i wanted to do was to stay. i wanted to be close to my family. 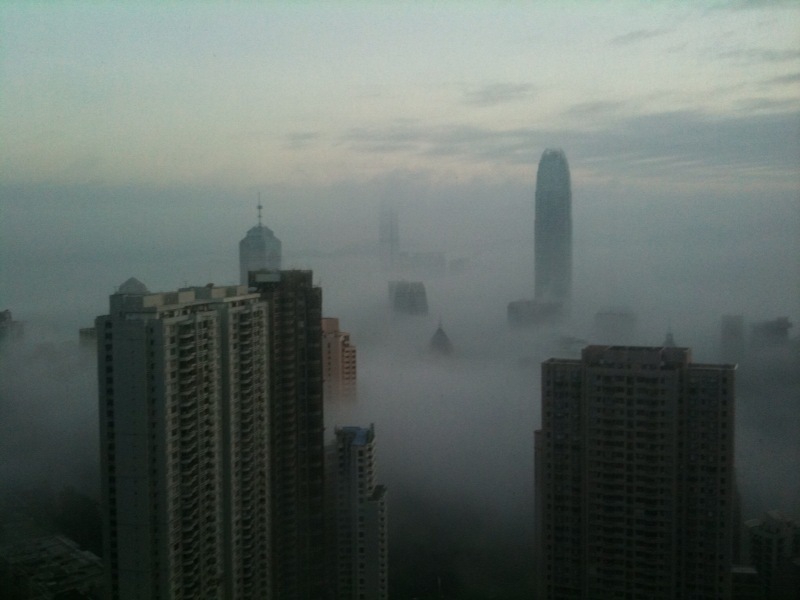 i did not want to go to hong kong, did not want to be unable to help my family if something happened. i thought of their faces, how i spent my childhood with them, the smiles my mom showed me before leaving our apartment that morning… (my parents were temporarily staying at our apartment to make their commuting to the center easier). i sank deep into the waiting bench, not being able to stand up, not being able to continue the trip. my husband was looking so concerned with my reaction, being completely at a loss. he came close to me and told me that everything was going to be all right, just like we had discussed so many times before. but my urge not to get onto the plane was so strong that i did not move. finally my husband suggested me to call my mom. tell her how i feel, tell her that i cannot decide. while on the phone, not being able to control my emotions, i burst into tears in front of everyone. i didn’t care who was looking at me. i just cried, with my shoulders shivering, telling my mom ok i would go but would call her everyday (which, also, i had never done when abroad), to make sure that they’d be ok.
after hanging up, we proceeded to the gate, for my husband’s sake. i tried to smile but again started crying, blew my nose and then tried to smile, and then crying, back to smile, crying, smile, crying, and then a deep inhalation, followed by a slow but firm exhalation. it took me probably half and hour to resume to my normal self, but then the plane started to take off, into the air, and there was no going back. four days have passed since the devastating earthquake in japan. the number of confirmed victims has increased to almost 5,000 people, but one of the news reports said that the figure is expected to rise up to 10,000.
the threat from the malfunctioning nuclear reactors is getting worse. from yesterday, the japanese media finally started to point out the real danger of the incident, comparing it against the chernobyl (although the japanese government claims that the situation in fukushima would not be as serious). up to that point, the most of the japanese people, including the nuclear experts, appeared to be quite optimistic about it but not anymore… 5 minutes ago the prime minister himself announced the high chance of nuclear meltdown. many friends of ours have left tokyo for either the west/south area of japan or overseas. on facebook or twitter, they constantly urge other people to leave. some posted a message saying that they are en-route to a safer area. while i am glad for their safety, these postings make me very vulnerable. my husband & i can leave at any time. actually we are bound to hong kong tomorrow for a few days (which was already planned a month ago, before the earthquake, not that it makes a great difference now…). but what about my family. what about my relatives. what about my friends. what about all the people who are exposed to the extreme danger of the nuclear radiation. my family cannot leave because of their financial situation. they can’t afford to lose their jobs, they don’t know anybody in the west/south area of japan, they are not as mobile as we are. they won’t come with us because of all these reasons. my heart aches. i think of the faces of my parents, my sister, her husband and their kids. they are the people who make me feel at ease when i am in a difficulty. they have given me such a great emotional stability. and now, i don’t know how to protect them.